New Delhi, Dec 4: The Congress on Sunday questioned Prime Minister Narendra Modi over "internal democracy" in his Bharatiya Janata Party (BJP), saying many senior leaders of his party were lost in pages of history. "Dear PM, your love for ‘Shahzad','Shah-Zada' and ‘Shaurya' is now well known. But nation wants to know when will you reply to the questions raised by senior BJP leaders Arun Shourie, Yashwant Sinha and Shatrughan Sinha," said Congress spokesperson Randeep Surjewala on Twitter. "Blinded by rage and enmity, what unimaginable depths would you fall to?" he asked. "Modiji, do tell Gujarat and country about the victims of yours and Amit Shah's internal democracy in BJP, namely - Lal Krishan Advani, Keshubhai Patel, Hiren Pandya, Kanshiram Rana, Anandiben Patel, Murli Manohar Joshi, Sanjay Joshi, who were compulsorily lost in pages of history." Modi on Sunday targetted the Congress and the Nehru-Gandhi family over charges of dynasty politics and the party's lack of internal democracy. "There is a man named Shehzad. 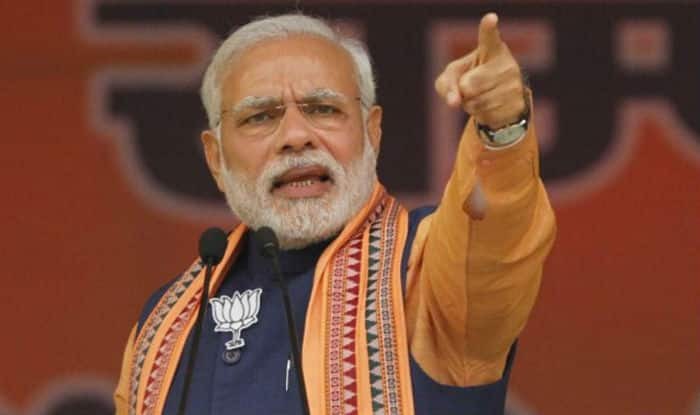 He has asked a question to the 'Shehzaada'," Modi said in reference to Congress leader Shehzad Poonawalla, who had alleged that the party president's election is rigged to favour Rahul Gandhi, adding that Congress has "tried to muzzle his voice and wants to even remove him from their social media groups".